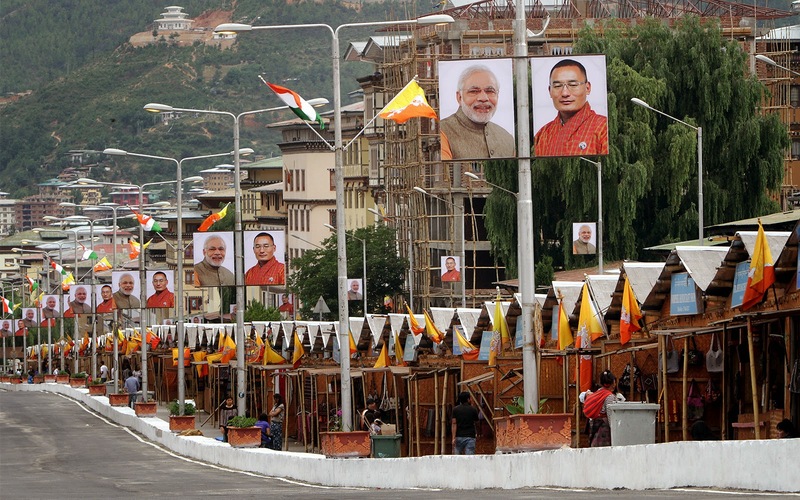 Narendra Bhai is scheduled to arrive today and Thimphu city is all spruced up to receive him. 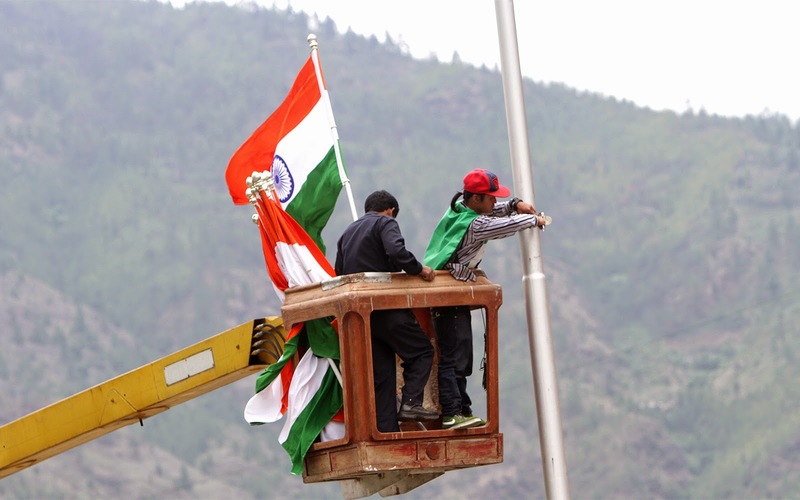 Personnel of the RBP, the RBA and the Desups have been pressed into service - to tear down decrepit walls, to paint road dividers and to erect flagpoles along the road through where PM Modi’s cavalcade will pass. Road surfaces have been swept clean, flowers planted along the Expressway and warnings have been issued to residents of Norzin Lam that they are welcome to park their vehicles anywhere else except where they are normally parked - on parking spaces alongside the Norzin Lam. New welcome gates have been erected and old ones have received fresh coat of coloring. 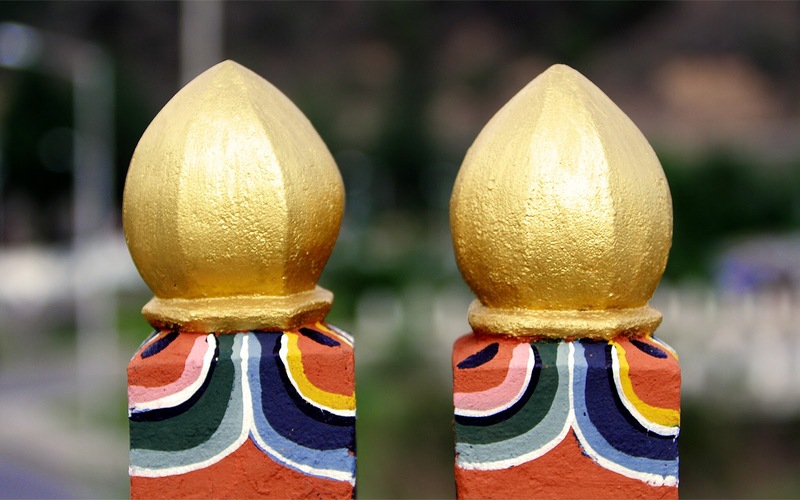 The derelict lime-smeared concrete posts that line the Chubachu-Zam have been repainted in gold - they now shimmer and sparkle in the sun - as they stand prim and proper, awaiting the arrival of the Guest of Honor. 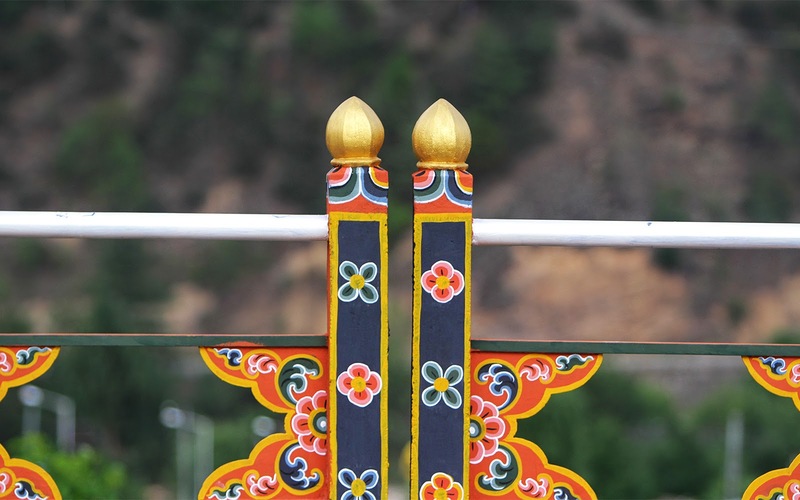 Bhutan had less than ten days to prepare for the visit of our most important foreign dignitary. It has been a nightmare for the Thromde people and others involved in the preparation for the visit of PM Modi. I am told that the King himself ordered the involvement of the RBA, RBP and the Desups. Without their help, the preparations would have never been completed in time. 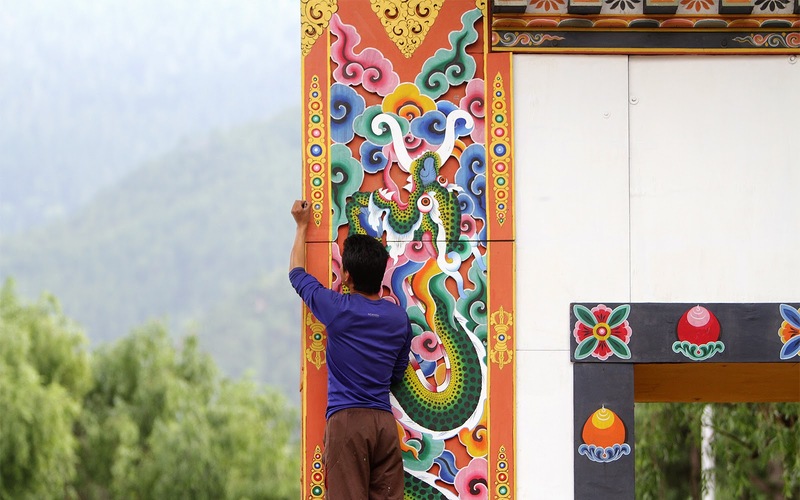 But as I walk along the road to observe the preparations, I am convinced that PM Modi will be satisfied that the Bhutanese people worked very hard to make him feel loved and welcome in a country that believes that his visit marks the second stage in Indo-Bhutan relations - first being the visit by independent India’s first Prime Minister - Jawaharlal Nehru, in 1958. Lot of water has passed under the bridge since then, and some of the water have been pretty murky, to the point that we are now uneasy bedfellows. There is no need to be. As I wrote in my earlier post, India should have faith in her own greatness. In the last three decades, no Indian leader has had such massive public support, as did Mr. Modi, during India’s 2014 elections. BJP’s stunning victory can be attributed to one single person - Narendra Damodardas Modi. In fact, recognizing Mr. Modi's potential and public appeal, the BJP’s entire election campaigns focused on one single person - Narendra Modi. This has never happened before in India - that a political party banked on a single person to deliver victory - and he delivered! Will Mr. Modi live up to his much-hyped reputation as a farsighted leader? Will he begin the process of amending the wrongs that have been committed over the years that lead to the slow but steady slide in India’s reputation as a dependable and trustworthy neighbor? 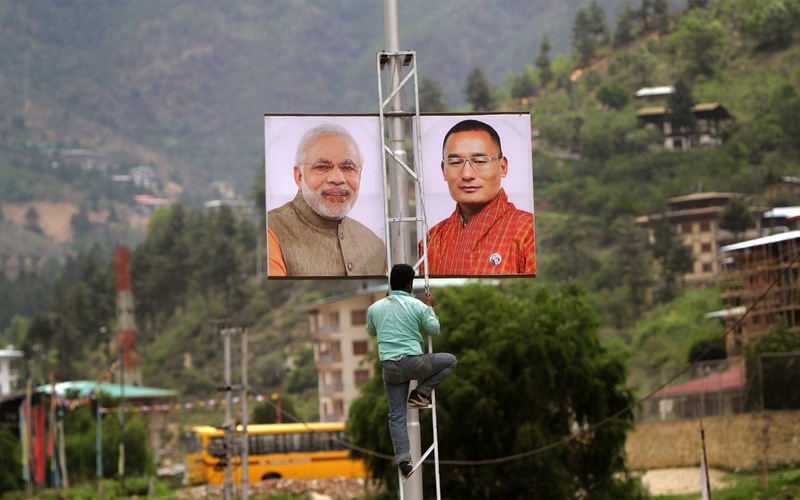 Mr. Modi’s decision to make Bhutan his first destination as India’s Prime Minister has been perceived as a clear indication of the direction his foreign policy will take. Thus, what he does during this trip will either re-validate or dismantle that perception. Central to India’s failure to achieve leadership position in the region is because of their long-term policy with short-term vision. Mr. Modi has the required mandate to alter all that and put India on the road to success. I hope he will seize the opportunity. 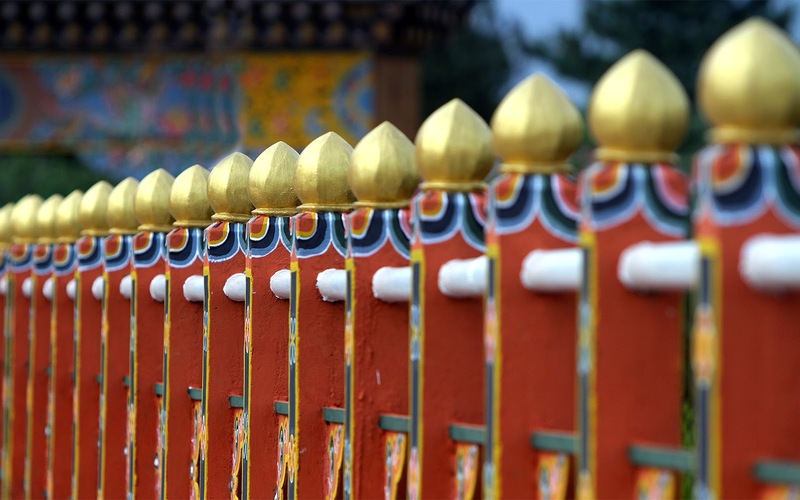 A strong and likeable India is to Bhutan’s benefit. 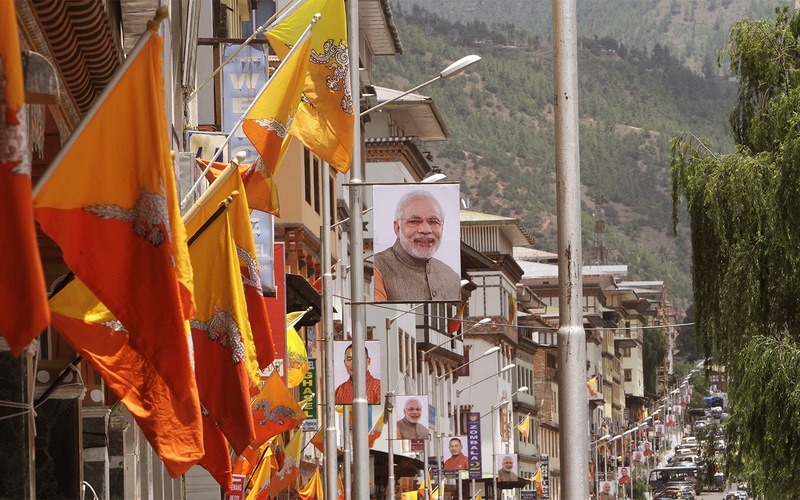 As far as Bhutan is concerned, we are rolling out the welcome wagon to PM Modi with unprecedented lavishness, to show that we have great expectations from him and his visit. I hope he will not disappoint. Joenpa Lekso, Lyonchen Narendra Damodardas Modi. At a moment when Mr Narendra Modi, the honorable Prime Minister of India, is visiting Bhutan, it is necessary to have a profound understanding of Bhutanese society and economy.